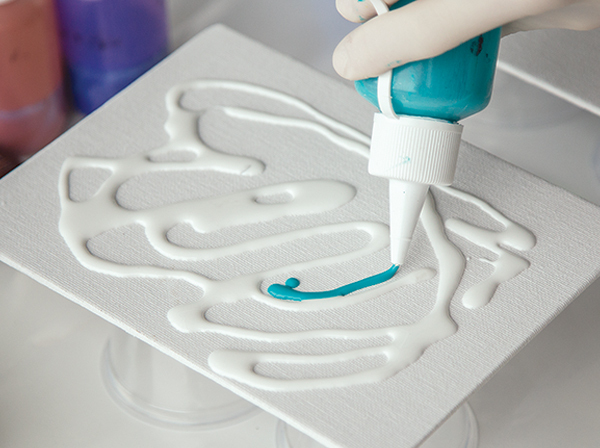 Liquitex Pouring Medium and Atelier Pouring Medium are both fantastic alternatives to using Epoxy Resin. 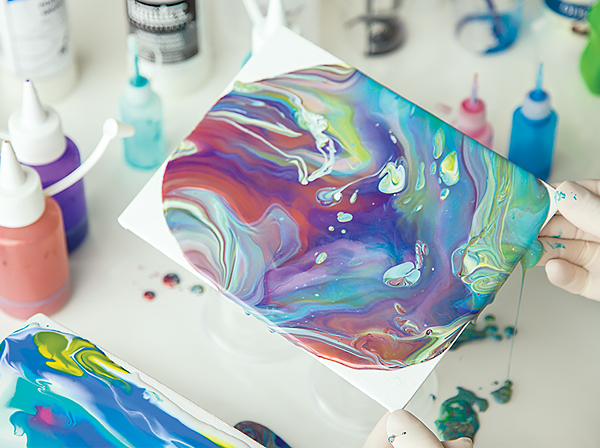 These acrylic based mediums can be mixed with both acrylic paints and inks to create fluid painting effects without all the hassles of using resin. Colours can be mixed and stored in airtight bottles as the mixture needs to air dry to cure, unlike resin, which starts curing as soon as it is mixed. This means less waste and more time to prep your colours. The mediums will thin the paint so it pours easily. 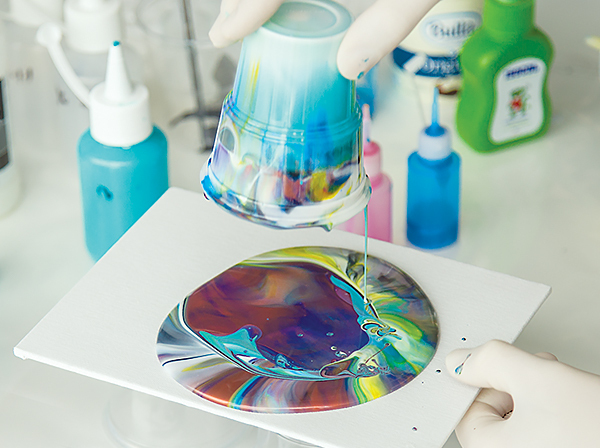 However, the Atelier medium will affect colour transparency while the Liquitex medium will maintain pigment opacity and result in a thicker finish. 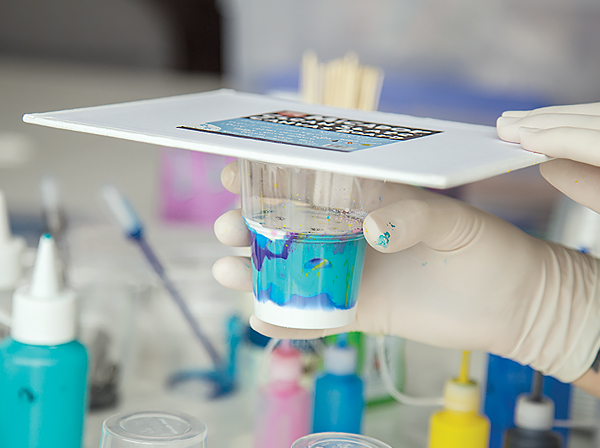 When dry, your artwork will be glossy, flexible and waterproof. Mixing: Cover your work area with Plastic Sheeting to protect the table top and allow for easy clean up. 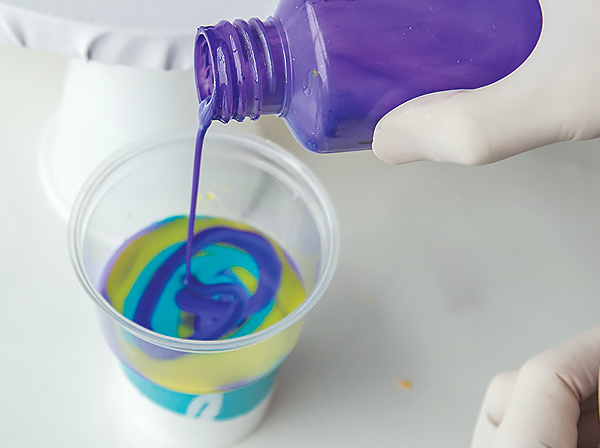 Fill an empty bottle with the Pouring Medium. 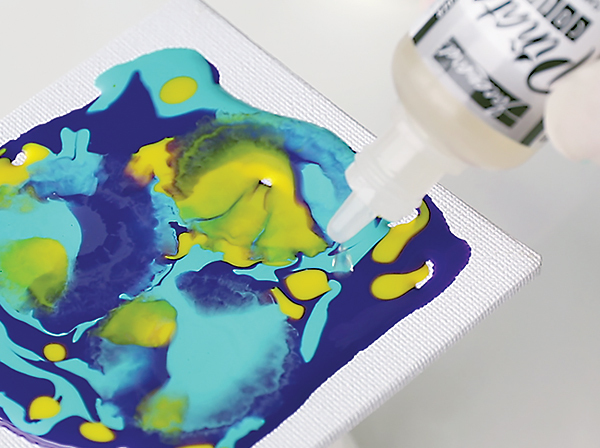 Add small amounts of acrylic paint or ink at a time. Be careful not to over saturate the medium with too much pigment as this will decrease its fluidity. Securely attach the lid to the bottle and shake the contents until thoroughly combined. Alternatively, you can mix up colours in cups using a Popstick. Work Area Preparation: Elevate your chosen painting surface from the table, with plastic cups or bottle caps pushed in under the edges of the artwork. Use a Spirit Level and adjust the surface elevation with Popsticks where required, to ensure it is level. 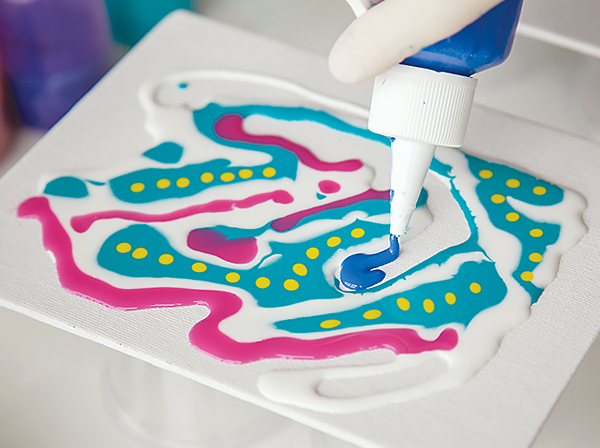 Squeeze: Squeeze the mixture over your surface, do not go to the absolute edge and leave gaps for other colours. 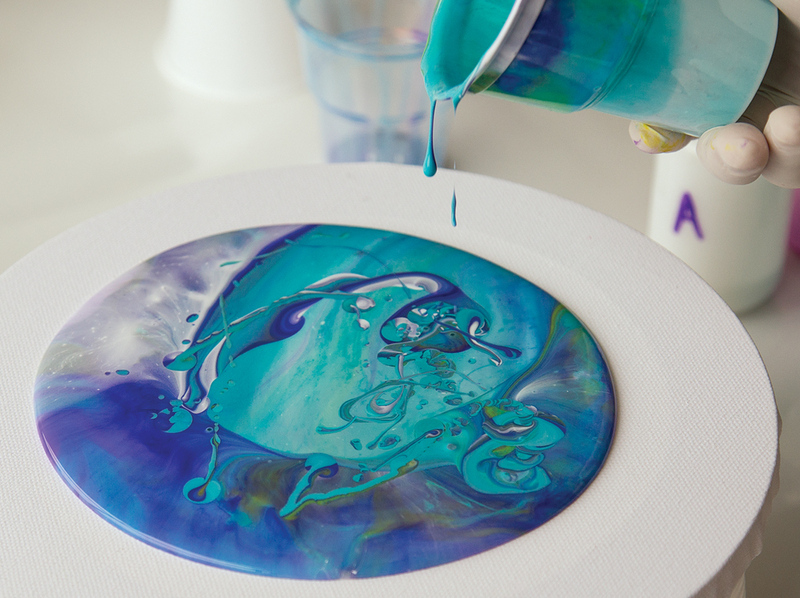 This is a fluid process and as you add more paint it will move to the edge of the surface. Despite being level, some paint will always flow off the edge. Alcohol: Mix Pouring Medium, Paint or Ink and Isopropyl Alcohol in bottles. Shake to mix thoroughly. 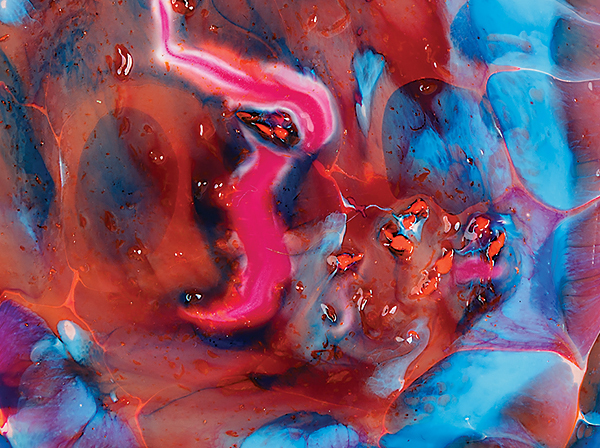 Cellular effects are created when you layer the paint mixture. Extender: Squeeze small amounts of the Piata Extender onto the painted surface. Watch your work transform. Fill: Fill a cup with the left over paint mixtures. White on the top and on the bottom layer will allow other colours to sit in between. Tip: Place a canvas board over the cup and swiftly tip the cup upside down so it is sealed upside down on the canvas board. Lift: Lift the cup off the board and watch the paint release and move over the canvas. You can see this process in the video above. Tilt: Tilt the board to help paint move to the edges. Note that your canvas will not be perfectly level so you may need to add Popsticks to stop movement in one direction. 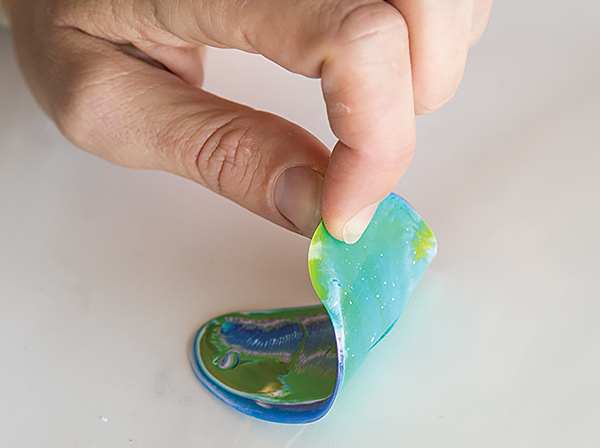 Peel: Pour the mixture directly on to plastic sheeting and when dry it will peel off to create an acrylic skin. Collage these onto other artwork.